Women are so apologetic about making money. We need to get to the point where we are like, 'We want this big money'. If you look at the era of your Basetsana's, your Connie Ferguson's, you soon realise that the ladies who are still relevant now are the ladies who diversified their portfolios. They went into business. 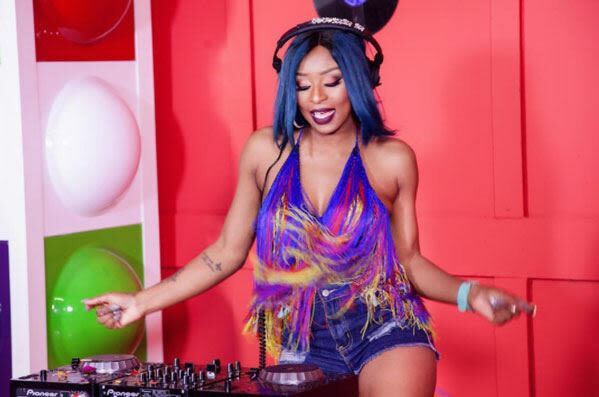 This week Whitfield interviewed DJ Zinhle, famous for being one of South Africa’s few superstar female deejays. Did you know that she was criticised and teased when she first became a DJ? But what is it that she believes about money? Does it keep her up at night? Does she spend like crazy, or save compulsively? How did her childhood experiences shape her views on money? Listen to the interview in the audio below (and/or scroll down for quotes from it). That job [Jikamajika]… made everything official! I didn’t feel any money pressure. I didn’t feel we were short. But I did know there were families better off than us. We were OK. When I was at UJ I worked at Makro promoting Vanish. I was terrible! I was so bad! I was very reserved; I was shy. I only sold to people who were buying the product anyway. Expensive is a relative word… Half the stuff you see out there is not even true! The Money Show’s Bruce Whitfield interviews Maboe about his attitude to money (hopes and fears, successes and failures, etc.). The DJ, businesswoman and mother of one shared some of the secrets of her success with Sara-Jayne King. The Labour Court will only hand down judgment on Comair’s bid to interdict Numsa's strike on Tuesday meaning the union will have to hold off until then. After being given medication he lies fast asleep, naked and feverish, attached to a drip, his anxious mother sitting on the bed next to him.